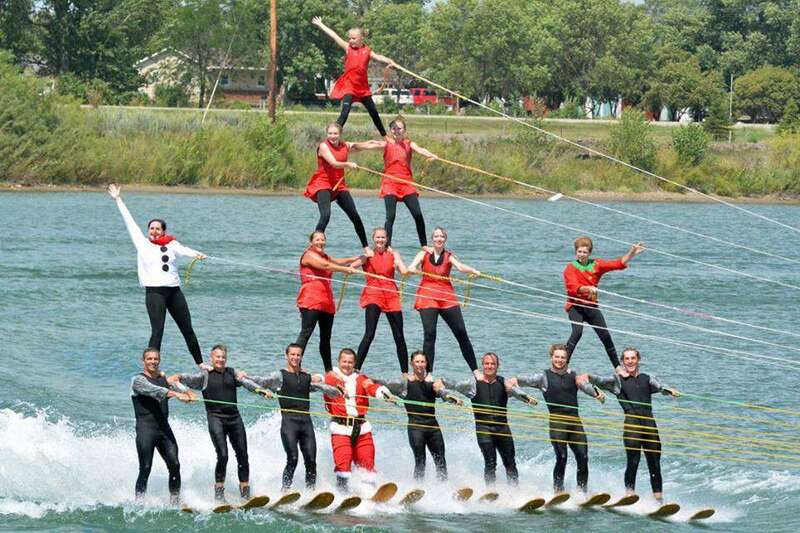 The Hartwick Huskys water ski team will host their final show of the summer this Sunday. The team overcame some adversity this year with rainy weather and low numbers, but it didn’t stop them from succeeding. Marty Pottebaum served as a show director with Stef Brooks. The Hartwick Huskys brought their show “Twas the Night Before Ski-Mas” to the Midwest Regional Ski Tournament in Aberdeen, South Dakota last month. First-year club member Faith Hunt says they were thrilled to earn first place. Hunt, who is a student at Maquoketa Valley, served as the announcer for this year’s show. She says that’s a role she’d like to have again. You’ll have one more chance to see the Hartwick Huskys’ award-winning show this Sunday at Schram Pond in Manchester. It’s their annual Jam at Schram event, with a show at 1 pm and again at 5 pm. Pottebaum says the day will kick off early. And our very own Rob Edwards will be at Jam at Schram, too – join him as he broadcasts live from 11 to 1 Sunday on Mix 94.7 KMCH.